I like animals. But I also like eating meat. 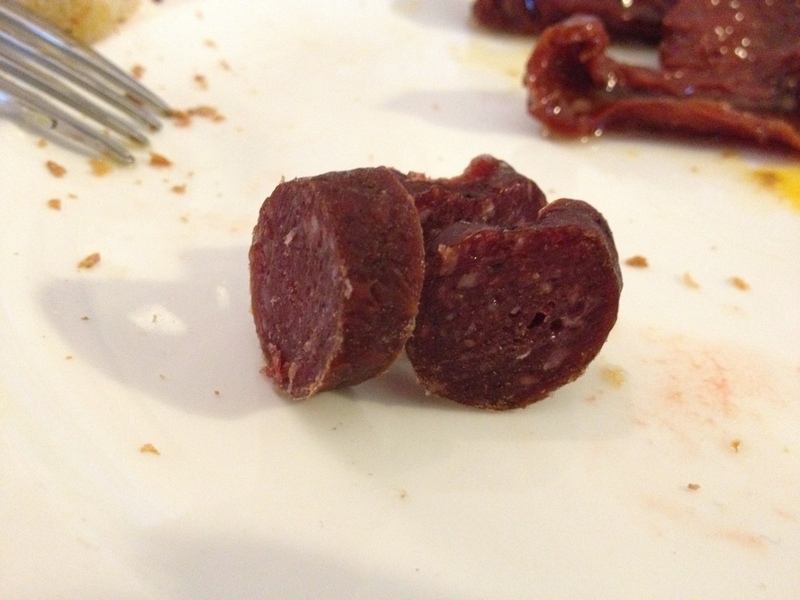 It is very important to me that the meat I eat is from animals that were raised in the best possible way. I therefore prefer locally produced meat produced by farmers who raise and slaughter the animals locally. 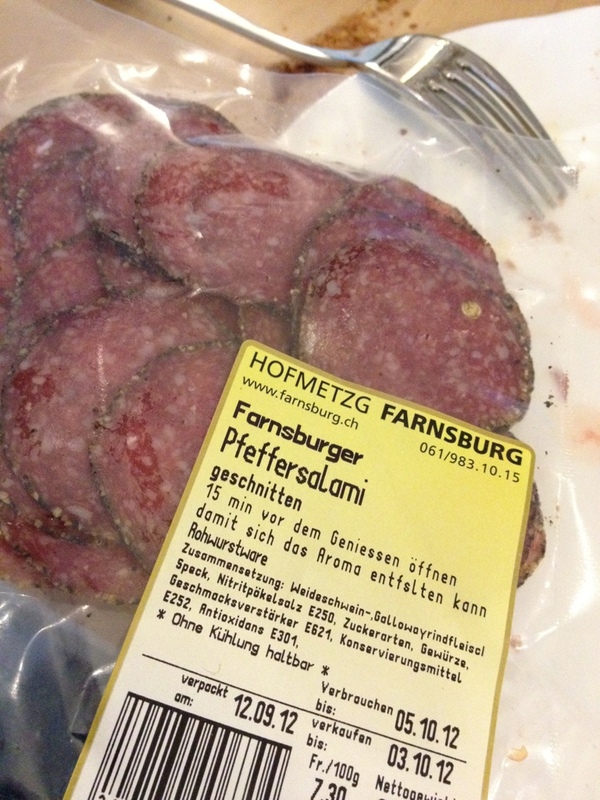 Today I was given a selection of sausages, dry cured meats and salami produced at a farm in Farnsburg, a region where my mother grew up. I had originally planned to make some butternut squash pasta for dinner. 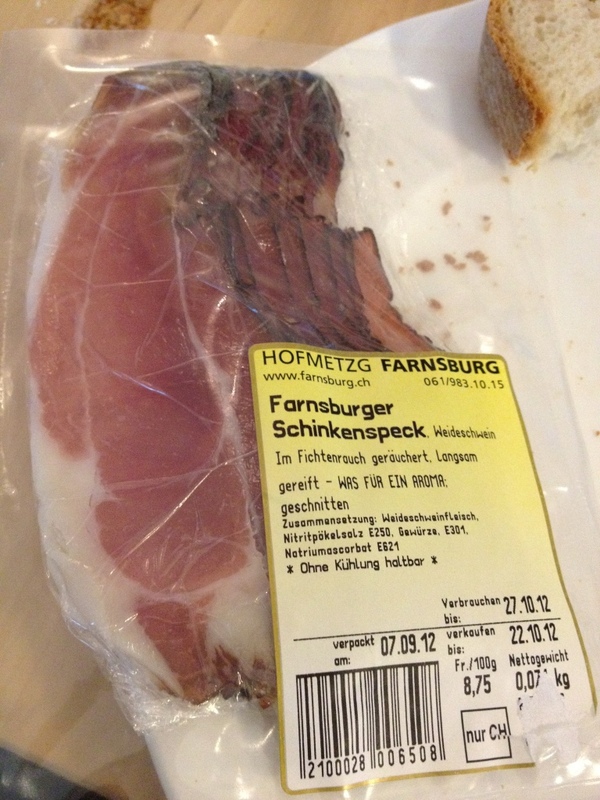 Instead I munched through the selection of meats together with bread and different salads. 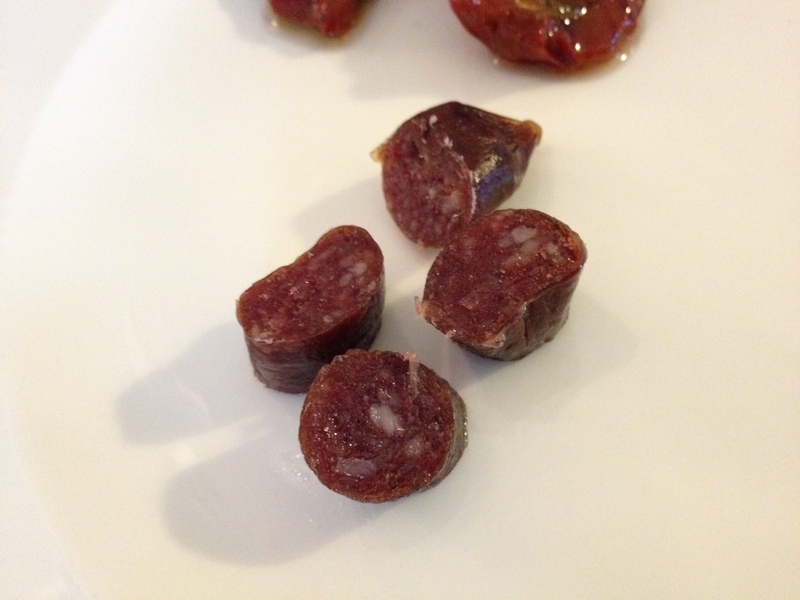 I started off with the dry cured bison sausages and they tasted lovely! 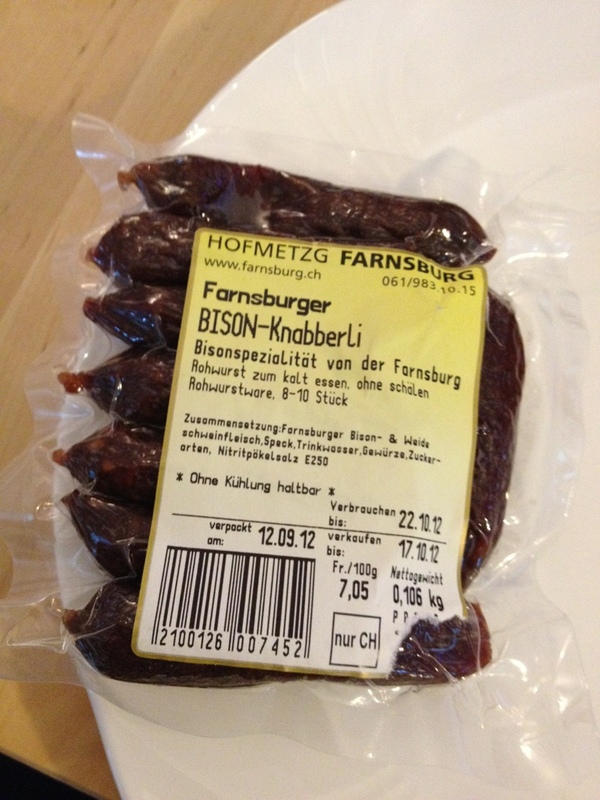 Less fatty than similar sausages, not as salty and with a specific meaty (a useless description, I know) aftertaste that must be typical for bison. 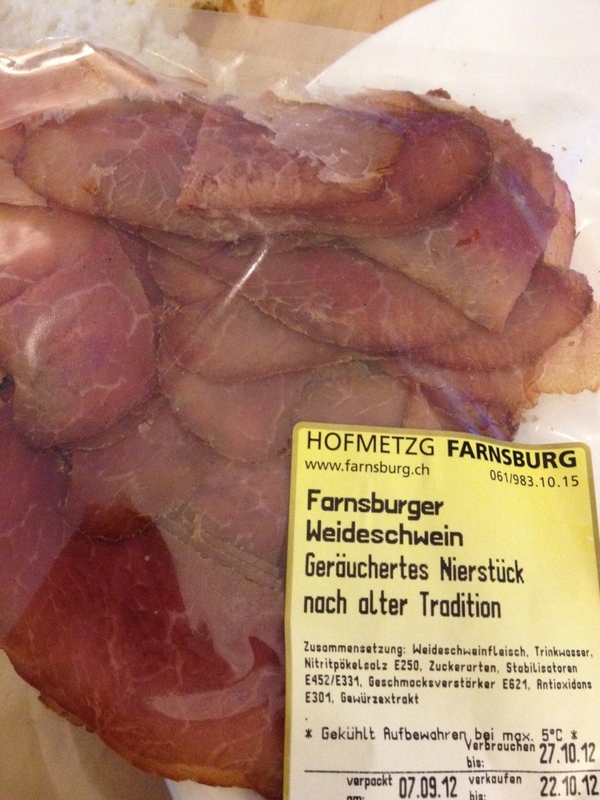 Then I tried dried meat from pasture pigs. Also delicious with a mild smoky flavour. 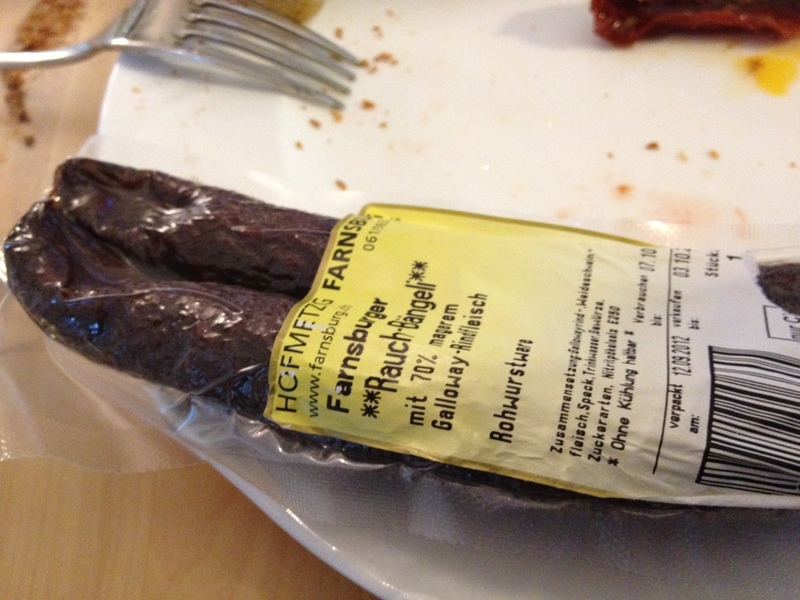 Next I tasted bacon from pasture pigs. 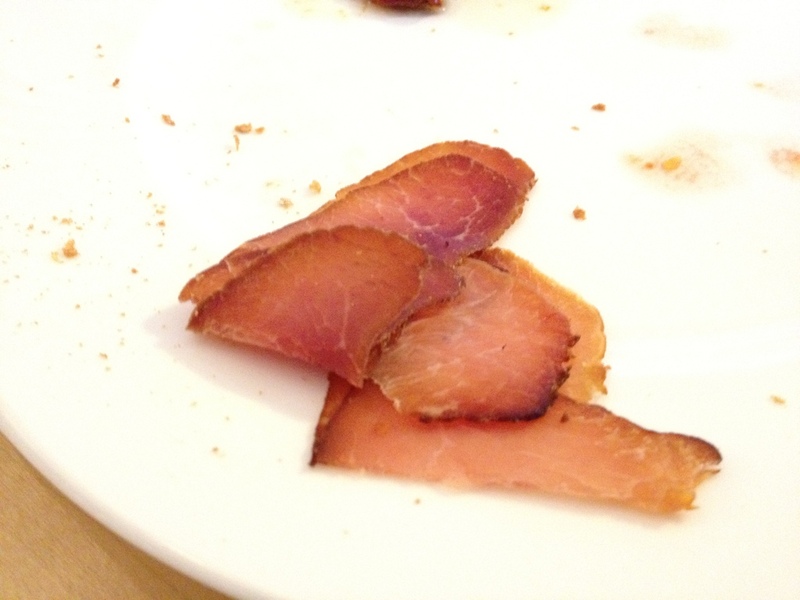 The bacon has been smoked in spruce smoke and the smokey spruce flavour adds a lovely touch to the salty bacon! 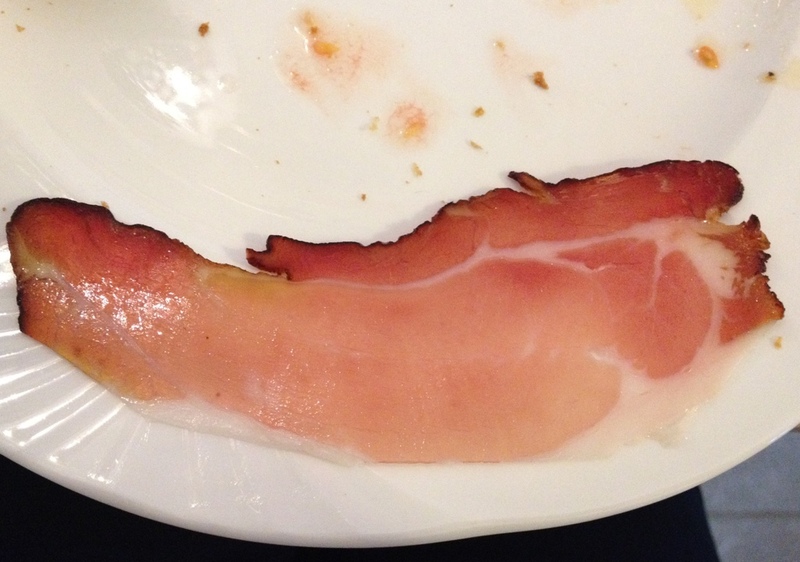 It was cut a touch too thick for my taste and I would request thinner slices when ordering it myself. 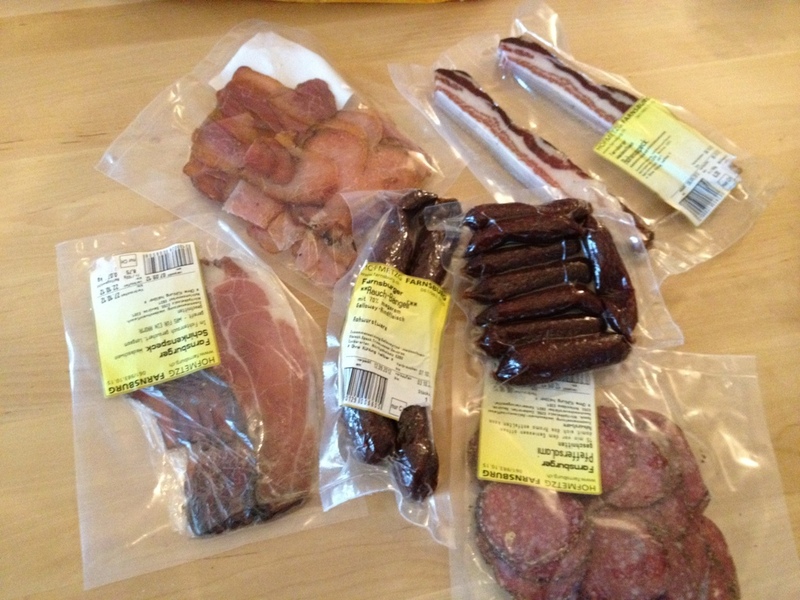 Next up where dry cured sausages made from the meat of galloway cattle. They, too, tasted great with a very specific taste that I find impossible to describe. Galloway-y or would it be called Gallowegian? 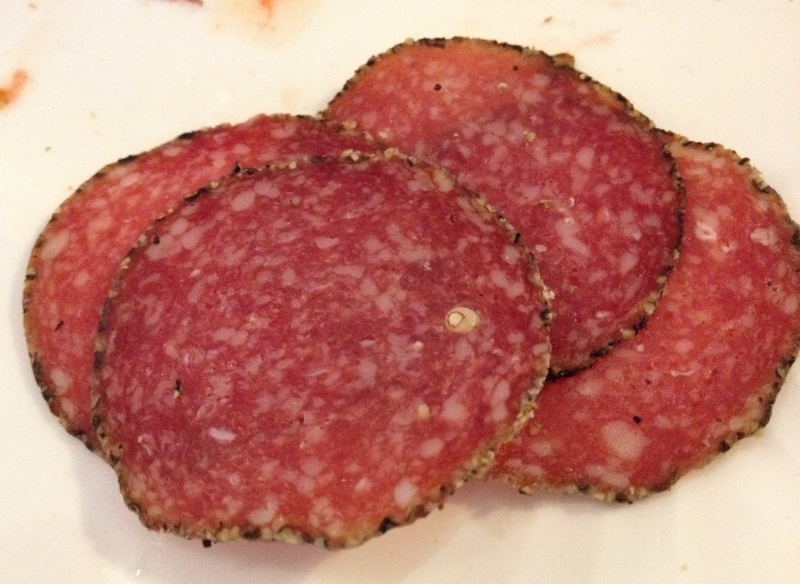 Lastly, I tried the peppered salami made with meat from both pasture pigs and galloway cattle. As much as I liked the other things, this was my favourite. If you’re in Switzerland you can buy all of the above directly from the farmer and according to their website they will soon have a webshop where you can order and buy produce online. They also have a stall at the weekly market in Zurich’s Main Station. It is definitely worth a visit!